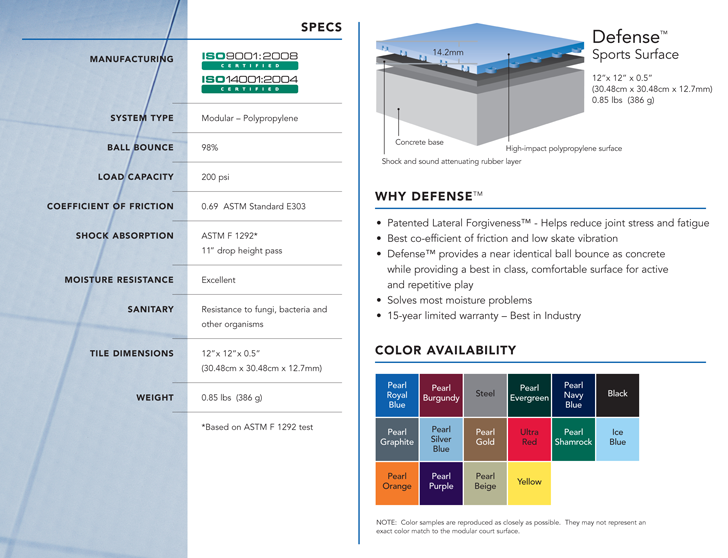 Sport Court® Houston installs indoor game court Sport Court® surfacing. 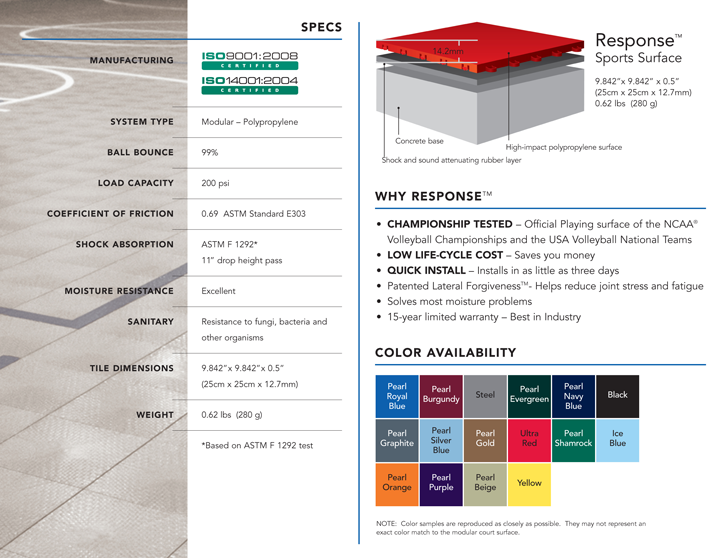 To learn what kind of indoor surfacing is right for your family or facility, check out the list below. 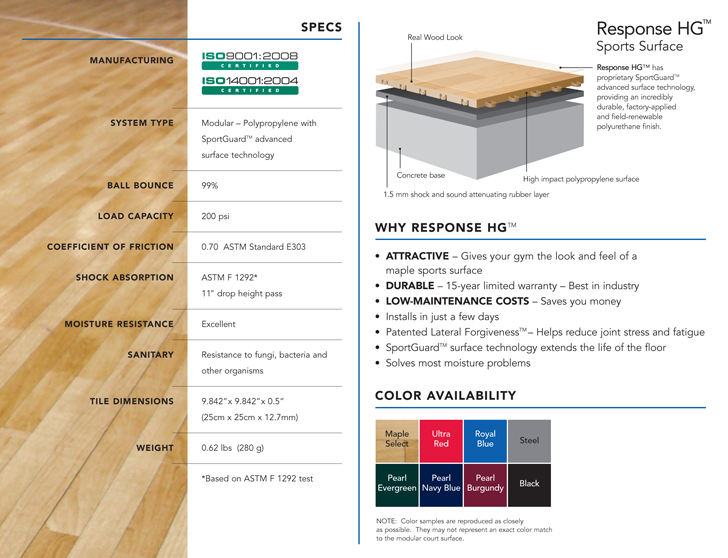 Read HERE to see how our Sport Court gymnasium flooring withstands flooding. Response HG™ has proprietary SportGuardTM advanced surface technology, providing an incredibly durable, factory-applied and field-renewable polyurethane finish.